Papua New Guinea is the definition of wild adventure. Sharing a rugged and untamed island with the Indonesian provinces of Papua and West Papua, the Independent State of Papua New Guinea is the epitome of a great adventure destination. Covered with near-impenetrable jungle and spined by towering mountains, PNG (as it’s often called) boasts no fewer than 852 known languages, with 82 percent of the population still living beyond its cities. With literally thousands of new species discovered in PNG within the last few decades (1,060 were discovered between 1998 and 2008, with no fewer than 243 new species of butterfly coming to light in 2015 alone), and the strong belief that the island is still home to numerous groups of uncontacted people, this may well be Sir Arthur Conan Doyle’s The Lost World in a modern setting! This trip concentrates on Papua New Guinea’s marvelous coastline, an area no less wild than its interior, and regarded as diving’s last frontier. Based in a coastal resort, your package includes seven nights of accommodation, five days of two-tank boat dives, all meals and airport transfers. 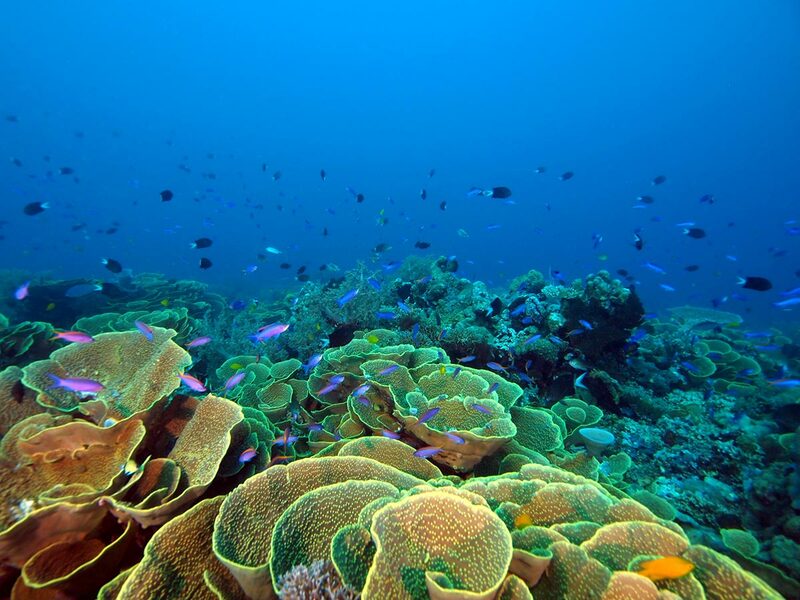 The resort is located on the northern side of the mainland and offers diving in year-round warm, clear and calm waters to uncharted reefs and Second World War shipwrecks. There’s a local reef just a five-minute walk away, while the nearest open-water reef is just 15 minutes by boat, and more than 30 major open-reef dive sites lie within easy reach. The waters teem with tuna, mackerel, barracuda, sharks, turtles and rays, just to name a few—hence the local saying that there’s more fish than water. And, once onsite, the resort is more than happy to assist you with local wildlife, birdwatching or cultural explorations, making it an all-around perfect adventure experience.